Ben is Senior Programme Manager in the Innovation Lab's Education Team. In July 2017, we completed our second wave on Rocket Fund, with 35 schools from across the country participating. Here we evaluate our findings and share what we’ve learnt so far. At the end of wave two, we had 35 schools on the Rocket Fund platform, with 24 of these successfully hitting their minimum target. We attracted a proportionate amount of projects from each type of school; 74 per cent of the projects came from primaries, 20 per cent from secondaries and 6 per cent from colleges (nationally 70 per cent of schools are primary). The average level of pupil premium within the schools that took part was 29 per cent (meaning 29 per cent of pupils were registered as eligible for free school meals - a key measure of poverty - at any point in the last six years), exactly the national average; however, this ranged from 4 per cent to 89 per cent overall. Geographically, schools were distributed all over the country; from Devon to North East Scotland. We haven’t had any schools from Wales yet, but we’re hoping to change that soon. We all know teachers are busy, so we tried to streamline the process as much as possible and encouraged them to get other people involved to help fundraise. One successful method we saw was turning fundraising into a class activity, teaching the students about crowdfunding and showcasing the potential power of community. 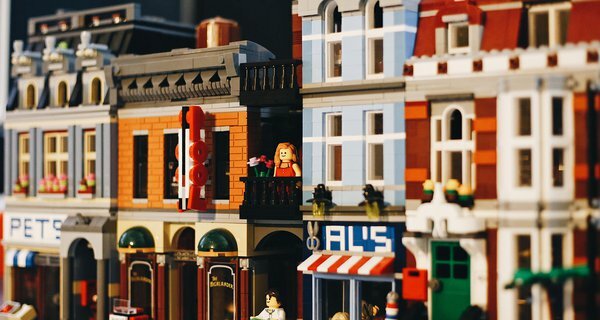 It’s an interesting phenomenon that seems to occur on many crowdfunding platforms, including Donors Choose (the schools’ crowdfunding platform in the US, that had 280,000 projects last year). 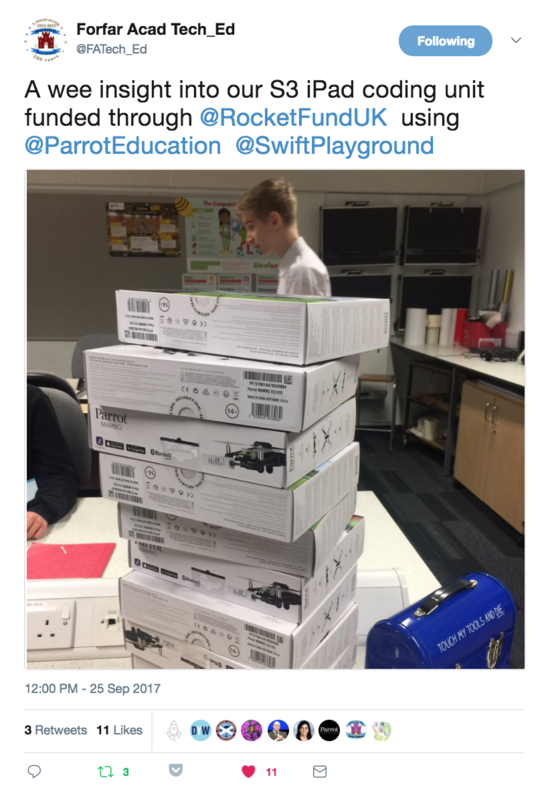 Despite all our support and encouragement, we still had nine out of 45 schools who didn’t get off the mark. We think this is due to the fear of asking for money / sharing something publically, which we understand. Donors Choose incentivise first time users to start sharing straight away by offering a code that doubles every donation in the first week. We’re going to experiment with similar tactics in the future. The most significant contributor to success was the level of enthusiasm from the teacher or fundraising team. A motivated fundraiser will share widely, engage regularly with donors, start fundraising early and contact us frequently for advice. In addition, teachers who sought help from other staff were more successful raising funds than those who went it alone. Within this wave, we found most teachers set their fundraising target to the maximum amount of £1,500. 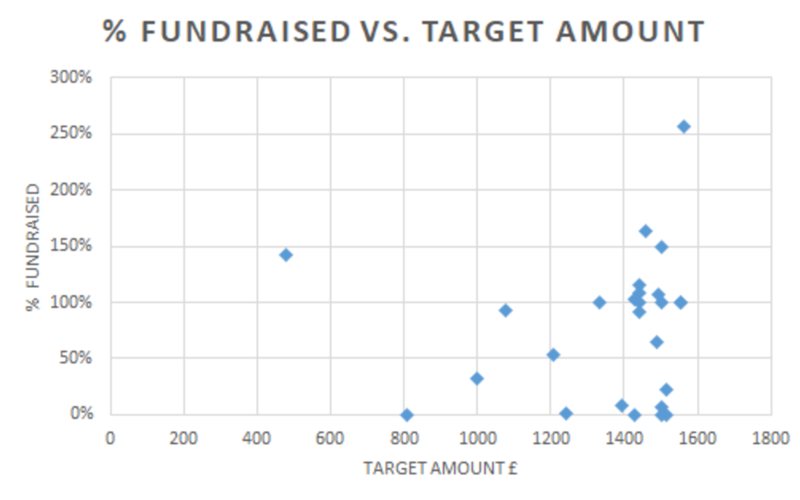 However, there was no correlation between the percentage fundraised and the target amount. 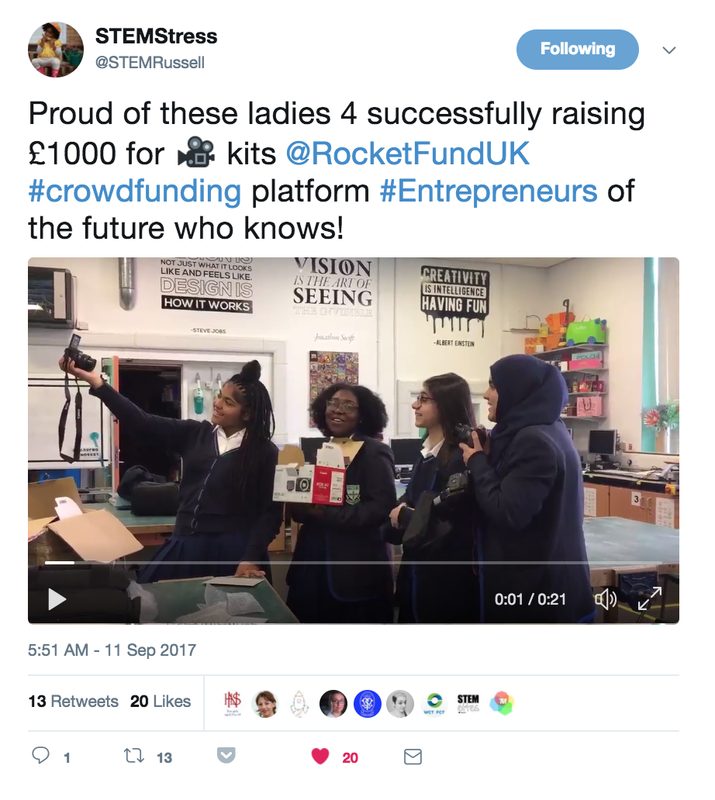 One of the most common questions we received from new Rocket Fund teachers was: ‘What should we buy?’ We avoided influencing this decision during this wave, but now we have established relationships with suppliers, we are starting to create product bundles focused on learning outcomes. 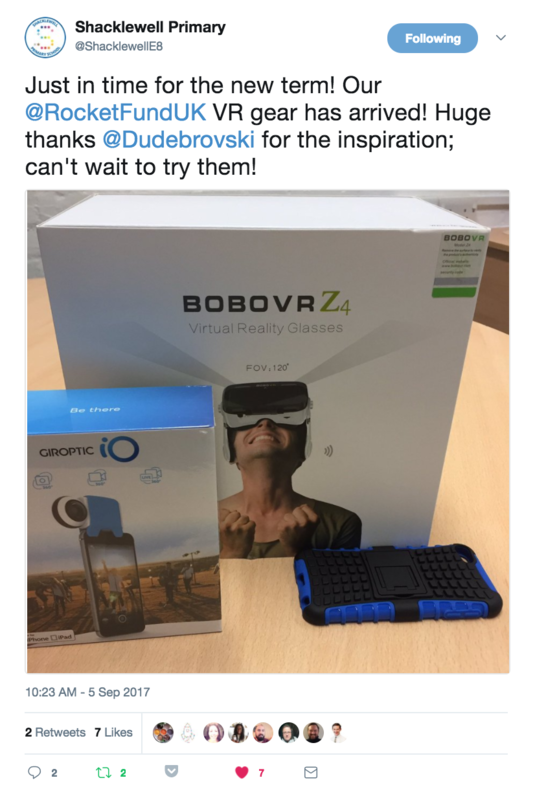 In the future, we’ll combine these with user and expert reviews. Our current plans are to launch a third wave after the October half term. Any questions? Drop us an email at [email protected]. Nesta do a wide range of work around learning including the topic of parenting. 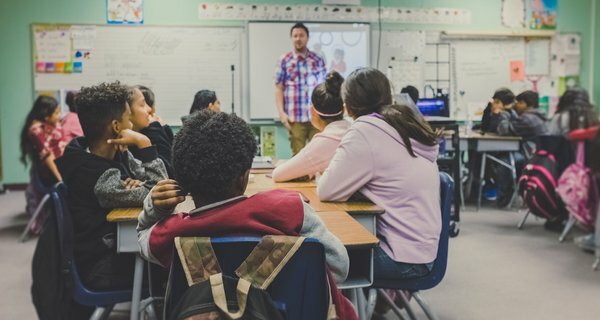 We are really excited by the announcement of the long awaited EdTech strategy today by the Secretary of State for Education, Damian Hinds, and for our new partnership to support technology in education.